It’s been a bit of a tradition as of late at Tufts where Commencement season also culminates with an NCAA Championship run for one of our sports teams. As it so happened this past Memorial Day weekend, Tufts had three teams competing for their respective crowns. My assignment was to follow the Jumbos men’s lacrosse team as it traveled to Baltimore to compete for the NCAA Division III National Championship against Salisbury. 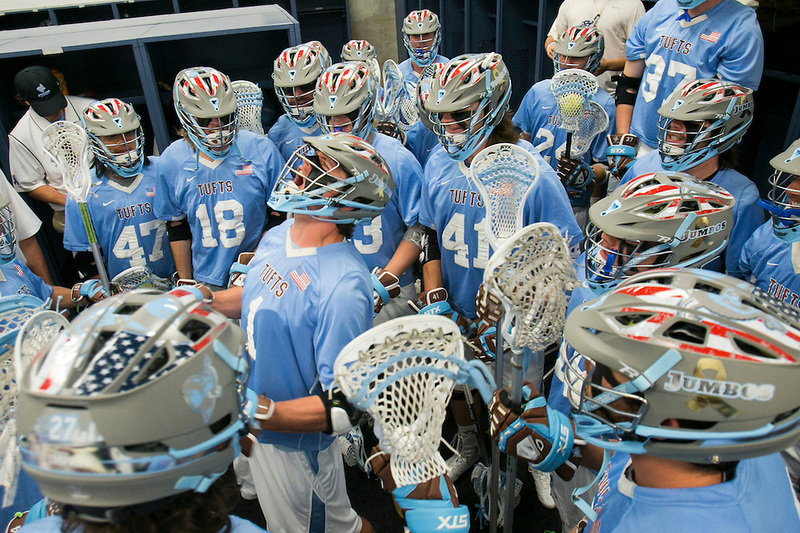 The men’s lacrosse team has been no stranger to the national stage, having won the National Championship in 2010 and losing in the title game in 2011. They played Salisbury both times, as well, so the 2014 tilt would at least break the tie for the series, at least for now. The story for this crew came from its seniors, who were freshmen when they lost in 2011. Having had that taste, they were eager to come back and cap their college careers with a championship ring. The task would not be easy, though, as Salisbury had the pedigree of 10 National Championships. At least that’s what everyone was supposed to think. The supposed underdogs, the Jumbos took care of business in the title game. Playing the first half to a tie, but exploding after adjustments at the intermission with a 7-1 run in the third quarter and never looking back. Continuing with my high school sports marathon day from Saturday, here’s a selection of photos from the MIAA Division 2 Softball championship between Hudson and Stoneham. It wasn’t exactly a close game, but what put Hudson ahead was their defense, which always makes for good photos. There was also some interesting backstories on this team, too, from the starting pitcher celebrating her birthday and the catcher hitting her first career home run. 6.19.2010 — WORCESTER, Mass. 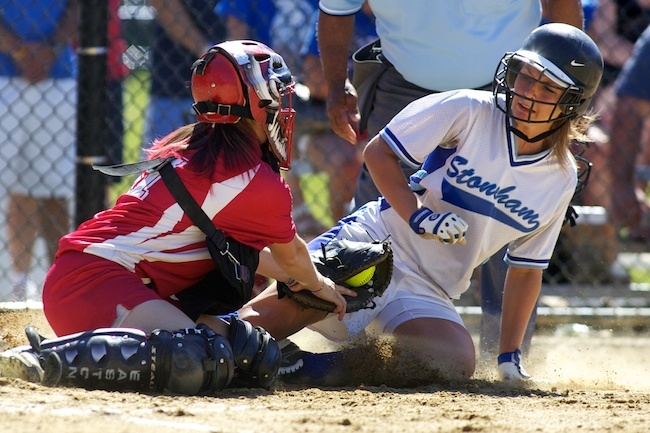 — Hudson catcher Micehelle Serrantino tags out Stoneham first baseman Gia Ruczkowski at home in the second inning of the MIAA Division 2 state final on June 19, 2010. 6.19.2010 — WORCESTER, Mass. 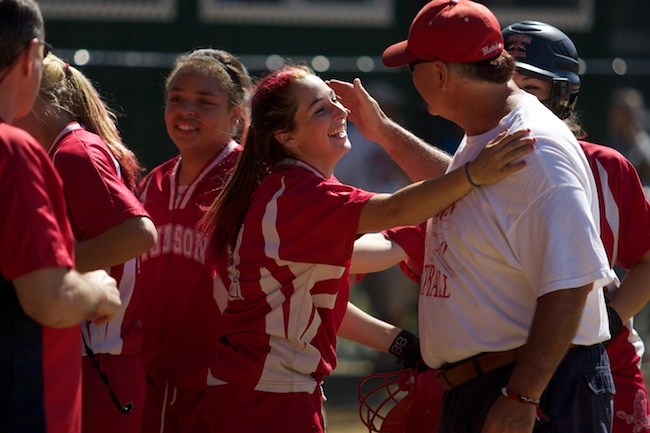 — Hudson catcher Michelle Serrantino is congratulated by coach Steven Martin after hitting a 2-run home run, the first of her career, against Stoneham in the third inning of the MIAA Division 2 state final on June 19, 2010. 6.19.2010 — WORCESTER, Mass. 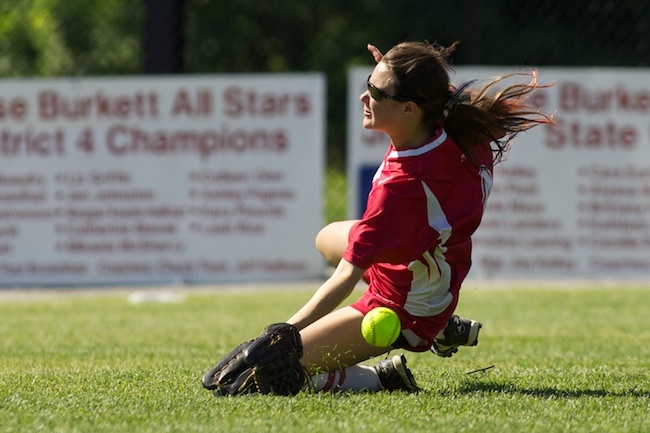 — Hudson center fielder Jasmin Volpe can't get to a bloop single from Stoneham in the MIAA Division 2 state final on June 19, 2010. 6.19.2010 — WORCESTER, Mass. 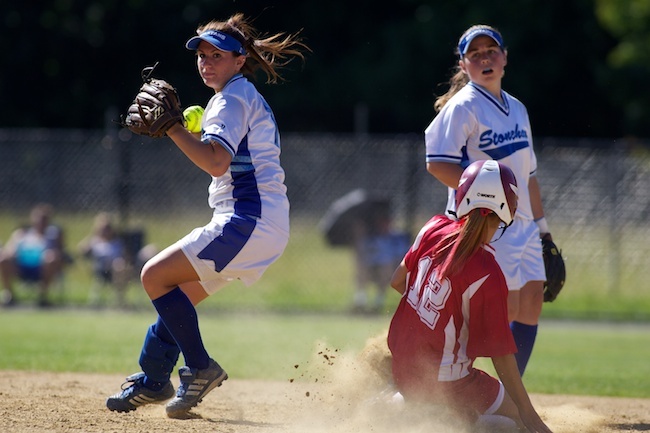 — Hudson second baseman Sarah Caragian breaks up the double play attempt on Stoneham second baseman Colleen O'Quinn in the MIAA Division 2 state final on June 19, 2010. 6.19.2010 — WORCESTER, Mass. 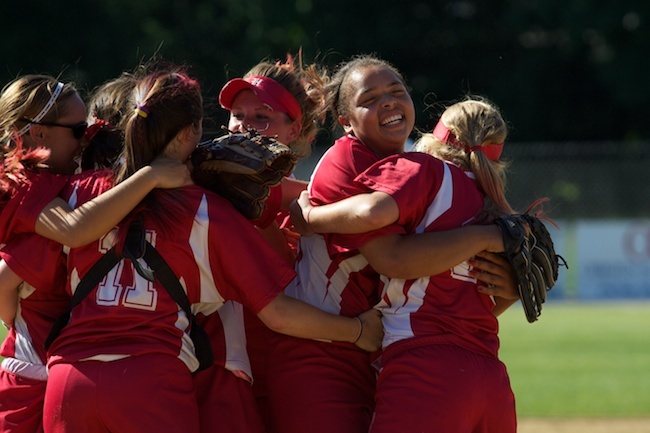 — Hudson starting pitcher Jurnee Serating-Ware, facing, is mobbed by teammates after closing out her win against Stoneham in the MIAA Division 2 state final on June 19, 2010.